About | Center for German Studies, U.Va. 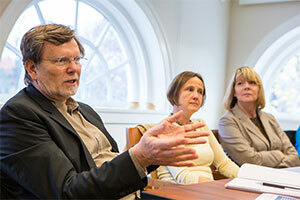 Promote the cooperation of scholars at the University of Virginia whose work touches upon the cultural traditions of German-speaking societies. Provide a forum for interdisciplinary research and interdepartmental collaboration. Provide a significant opportunity for enhanced forms of faculty-student cooperation. 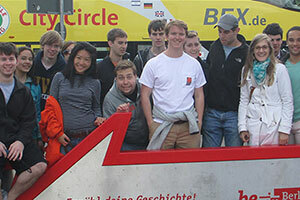 Generate visibility and recognition for the University of Virginia on a regional, national and international level supporting German Studies. Provide a forum for scholars, writers, artists, journalists and other professionals from the US, Germany and elsewhere who have an interest in German Studies. 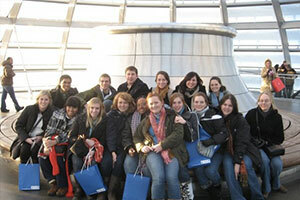 Support and expand current departmental and inter-departmental programs for study abroad and academic exchange. Provide a platform to develop and support community-centered activities concerned with German Studies. Create a forum and resource for teachers of German throughout the State of Virginia.